With hundreds of colleges in the United States, how do you choose which schools to apply to? It’s tough to narrow down the list of colleges among so many options, but these guidelines will help you create a strategy to determine which schools are right for you. 1. Think about a range of schools. Safe schools: schools where you’d most likely be admitted. A good way to start is by looking at the average SAT/ ACT scores and GPAs of admitted students, which is available on the school websites (“class profile,” “freshman stats,” etc.) or other college database. If the academic profiles of admitted students look like yours, the school will be a good academic fit. Use the average scores as a factor when categorizing your reach, target, and safe schools. For example, a good reach school is one where the admitted students’ numbers are just a bit above yours. If there’s a complete disconnect between your scores and admitted students’ scores, you will likely not get into that school. 2. Beyond the scores: academic offers. Other than what you’re offering to the school, you’ll also want to consider what the school offers academically to you – after all, you’re going to college to learn. Department size, course offerings, and related extracurricular opportunities to pursue your interests: A school may offer a major in Romance Languages, for example, but only have a few professors or courses each semester. Similarly, if you want to major in Music, make sure there are not just Music courses, but also opportunities for you to play your instrument or compose original pieces for performance or otherwise learn outside of the classroom. 3. Don’t forget the hard numbers. Class size: Is a small or large class size important to you? Do you prefer a school with a large variety of programs? Graduation rate: What is the success rate of graduates applying for admission to graduate school? Post-graduation prospects: What percentage of graduates find a job within 6 months of graduation? This is important to make sure the college you choose sets you up for career success. 4. 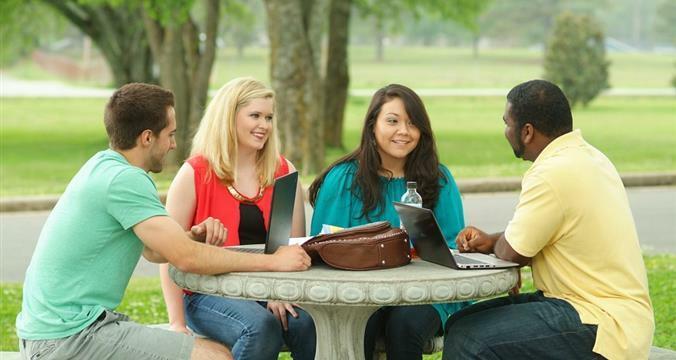 Student life matters: location, social life, student support, and more. Location: Can you see yourself spending the next four years in a city, a suburb, or a rural town? Housing: Do you want a school where most students live in dorms or off-campus? Social life: What activities dominate social life on campus? Do you want to go to a school with strong athletic teams or a large Greek presence? Or do you prefer a school where these activities are not the mainstream? Support services: What support services does the school offer to help with academic, medical, psychological, and social challenges? 5. Tie everything together: Visit campuses in person. The best way to get a sense of the school is to see it in person. If you’re choosing a place you might be spending the next four years, you want to make sure it feels like a good fit to you. Sit in on classes and talk to students to find out what they like (and dislike) about their school. Check out this post on how to make most out of college visits. 6. Start the money talk with your family early on. Of course, no discussion of college is complete without the cost of tuition, room and board, and living expenses. Start the talk early with your family to determine the amount that you and your family can afford. Start early with planning and researching for financial aid and scholarships opportunities. There are various resources to find scholarships and grants that you can start digging in right now. Make sure to include time for scholarship research in your calendar. As you’re going through the school selection process, remember that there’s always more than one fish in the sea (just like with relationships!). While you may come across a college that you think is THE ONE, the truth is there are many great schools where you will be happy and successful. So be open-minded and expect to see changes in your plans as you go through the admissions process!